Iran's top diplomat says comments by his president comparing President Trump to the Nazis was a critique of Mr. Trump's immigration policies, the latest salvo in the war of words between the leaders of the two nations. 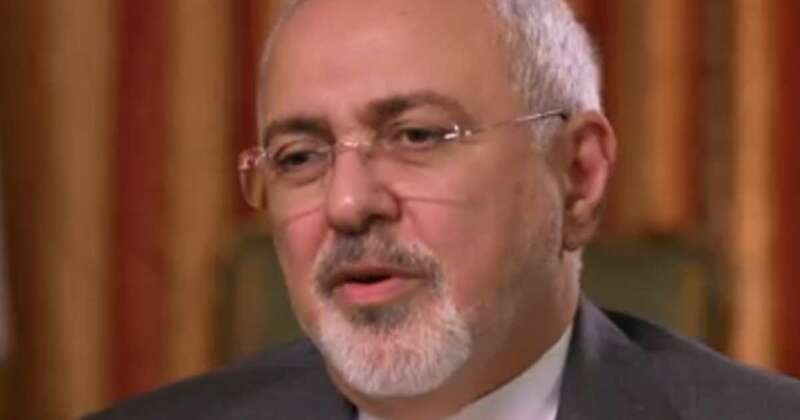 On "Face the Nation" Sunday, Iranian Foreign Minister Javad Zarif also said "of course" the Holocaust happened, and that Iran "reject[s] the killing of innocent people no matter what the numbers, no matter by who." In his speech to the U.N. General Assembly this week, Iranian President Hassan Rouhani said Mr. Trump had "xenophobic tendencies resembling a Nazi disposition." In an interview with "CBS This Morning," Secretary of State Mike Pompeo responded: "For a Holocaust-denying country that is threatening Israel to compare the United States or its leader to Nazis is among the most outrageous things I have heard." Over the years, prominent Iranian leaders including Iran's supreme leader Ayatollah Ali Khamenei and former President Mahmoud Ahmadinejad have frequently doubted the Holocaust ever happened, often suggesting it was part of a Western propaganda effort. On Sunday, Zarif acknowledged "a huge number of innocent people" died in the Holocaust, but said that fact "cannot be used as a justification for an apartheid policy in Palestine." Zarif cited Mr. Trump's long-promised border wall and a ban on travel from Muslim-majority countries as policies that demonstrated a "Nazi disposition." "All of these are reminiscent of the type of mentality," said Zarif. "He's the man who separated children from their mothers." Zarif also faulted Mr. Trump for his harsh rhetoric toward Iran, including at the U.N.
"If you just put the insults that President Trump has had against Iran, whatever President Rouhani says cannot even get close to what he has done with us," Zarif said. "Even in his speech to the General Assembly." Regarding a potential meeting between Rouhani and Mr. Trump, Zarif said there was "no chance" of it happening. Zarif said Mr. Trump's meeting with North Korean dictator Kim Jong Un produced more of a photo opportunity than an actual outcome. "Until the United States shows that it's respectable, trustworthy partner in negotiations, negotiations are not based on trust," Zarif said. "Negotiations are based on respect, based on an expectation that the other side will comply with its decisions that it's undertaken under the negotiations."